Posted November 25th, 2011 by Karl & filed under MailBigFile, MailBigFile News. It’s that time again at the end of the week where we reveal our Top 5. Whether it’s a newly added feature, something we’re working on bringing to you in the near future or just general updates about what we’re doing to keep MailBigFile in tip-top shape. 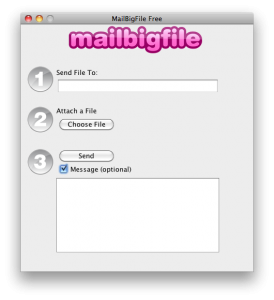 1) Update – MailBigFile Desktop App. 2) Update – MailBigFile Android App. 3) Service Update – Database Changes to the Pro Service. 4) Service Update – Slight Changes to our E-mail Templates. 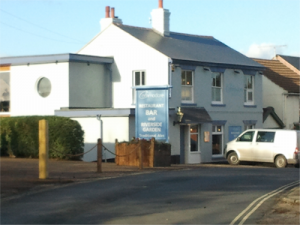 5) Local News – Our Local Pub, the Commodore, is back. The Desktop app is nearing it’s final stages for the Free service. We’ve just got to finish testing the service and make sure there are no apparent errors using it on Windows/Mac etc and it will be released to the general public. Once the Free app has been completed, we then plan on creating a Desktop App for the Pro users. We’ll keep you up-to-date on the workings of this app as and when they occur on our blog. As you may already know, the Android app for the free service is already live and available on the Android Market. 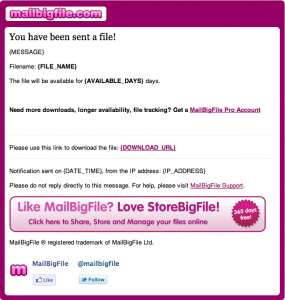 You can find it by simply doing a search for MailBigFile on the marketplace. As this has now been completed, our expert Java technician Martin has begun work on the Pro version of this app. We plan to make this as similar to the Pro Account as possible, including functionality such as sending larger files, viewing your audit log, upload history and so forth. Do not fret however Business Account users, you will also see such a app for your service. Once we have completed the Pro version of the app, the Business app will be started. We’ve also made some alterations to the database for Pro users. We’ve moved the main database for the Pro users into a new area which we believe to be quicker and more resilient than the last. You shouldn’t notice any difference however front-end, and the Pro service should continue to run as normal. The other advantage to using this new database is the multi-zone deployment it offers. What this means is that it intelligently detects your current location and the world and points you to a server that is closest to you. This helps with general download speed of all things Pro dramatically, as you’re not all trying to fetch the same data from the same area. We’ve noticed recently that our emails weren’t displaying correctly in all browsers. Namely, since Googlemail’s latest update our emails weren’t displaying as they did before. As such, we have now made changes to the email template for notifications on the Free and Pro service so that the HTML versions of these emails should still view correctly on at least the majority of email clients. Business users shouldn’t be affected by this change, as their emails should still display properly on most email clients. We’ll also be applying these changes to the Newsletter emails. Hopefully these should now display as they were intended in most if not all internet browsers. Many local pubs around the country have been feeling the sting of the recession (and other laws). Many of which eventually shut down, changed ownership or had to go through some serious rebranding to keep themselves attractive and alive. Such an undertaking also occurred with our local pub, the Commodore. It had been shut for more than a year and half and began some refurbishing half a year ago. During that time, the parking lot had also been secured off, which meant some of our poor colleagues had to find alternate means of parking. However it has now come back to the fore, with a new colour scheme and interior. Let us hope they can find some luck in these financially stricken times.